WELCOME TO THE RADICAL ENGLISH GROUP! Radical English is a group of experienced EFL/ESL teachers based in Canada, Hungary, Portugal, Spain, the UK and the USA. We found each other online, drawn together by the following post by Rita Baker: "it’s time to take a radically different approach to teaching and learning English". This immediately struck a chord. 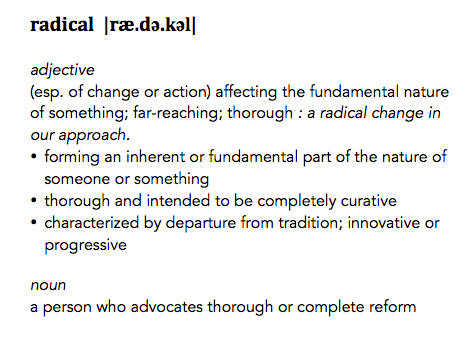 In 2012 we met face to face to learn from each other, and "Radical English" was born. The time was right. There was chemistry from the start. The conversations deepened and in November 2012 we met face-to-face to learn from each other and about each other. We discovered that each of us had been following our own paths to a more integrated, intuitive and learning-friendly understanding of language teaching and learning. After two days of lively discussion, sharing and decision-making, an alliance was formed and "Radical English" was born. In contrast to traditional teaching in which teachers parcel out segments of learning, skill set by skill set and chapter by chapter, we had each separately immersed ourselves in the English language system, deconstructing it to understand it better, but reconstructing it in an entirely new way, to teach more efficiently and coherently. We each realized, separately and now together, that the most effective ways of presenting language are the simplest ways, and we have each designed solutions that are direct, practical and logical. The combined effect of our alliance has been much greater than the sum of our parts. We found that we are sparks for each other, igniting excitement and new ideas, taking us down paths we could never have anticipated. We are stronger, for our collaboration. We are smarter, for our stimulating conversations. We are more aware, for our networking. We truly are sparks for each other, kindling new thinking and actions, collectively and individually. We have opened doors for each other and widened each others’ perspectives; we attend each other’s ESL and EFL conferences, review each other’s ideas and publications, and meet for further professional conversations that spark us toward more radical ways to teach English. If you would like to connect with us individually, please contact us through our individual websites. If you’d like to know more about our Radical English group, please write us using the contact form, or join the RSS feed for our blog posts. If you are passionate about ESL, EFL, teaching and learning, please stay connected!